Welcome to The Anti-Nerdist, fka, TV-Tastic. I am the Anti-Nerdist and I’ll be your captain going forward. Why The Anti-Nerdist and no more TV-Tastic? 1.) Got bored with TV-Tastic and quite frankly, the site has evolved t0 cover far more than just TV and a lot less TV than it has before. Basically, I got tired of covering the 80% that is crap on TV and wanted to cover other cooler stuff. 2.) Most importantly, as a nerd and a geek myself, I got sick of the constant propagandizing of The Nerdist. The Nerdist was a great outlet started up by Chris Hardwick but it’s painfully obvious that he has nothing to do with the day-to-day operations of the news site, i.e., one head of the “many headed beast,” that’s been hijacked by Social Justice Warriors who really don’t know that much about the things we love and they use our interests against us to promote an SJW agenda and shame anyone that dares disagree with them. I’ll be glad to go into more detail for anyone who’s interested and our “Why We Exist” page will sum up exactly why The Nerdist is so offensive but, the point of The Anti-Nerdist is not to constantly attack The Nerdist; it’s to provide an alternative without the preachiness and shaming. Nothing really much is going to change since last year but I will now pretty-much exclusively focusing on the genre stuff. 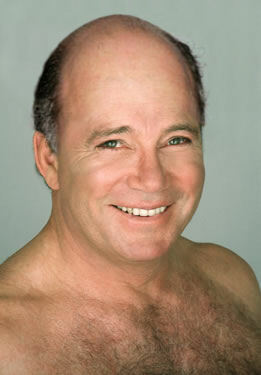 Now, that that’s all been said, please enjoy this picture of William Shatner sans toupée.